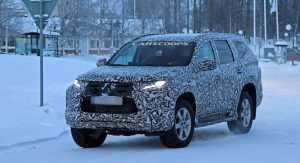 The third-generation Mitsubishi Pajero Sport has been on sale in Asia and Australia for more than three years now, which means it’s mid-life makeover time. 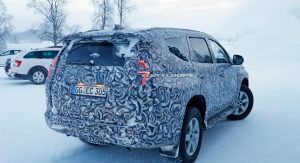 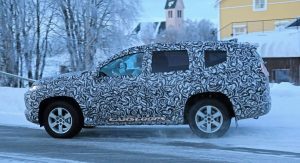 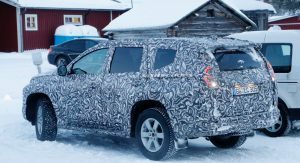 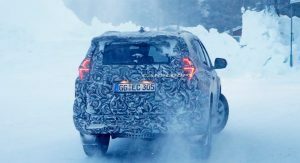 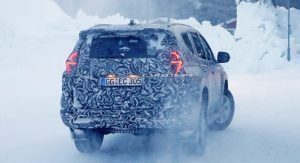 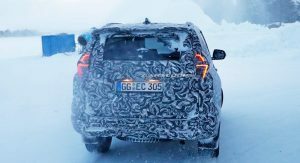 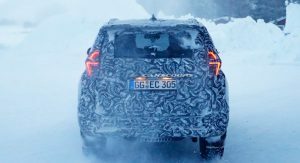 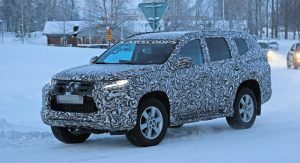 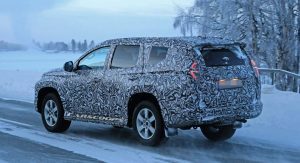 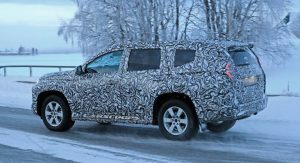 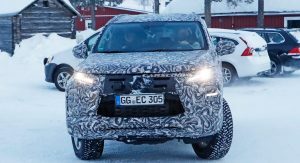 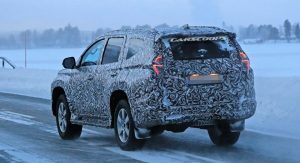 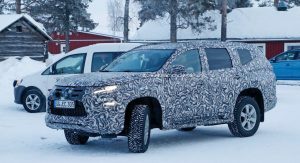 These are the first spy shots of the 2020 Pajero Sport facelift, which is currently undergoing winter testing in northern Sweden. 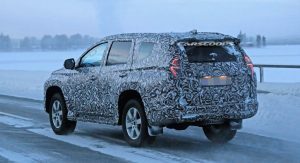 The body-on-frame SUV, also known as the Montero Sport and Shogun Sport, remains based on the same platform as the L200/Triton pickup truck. 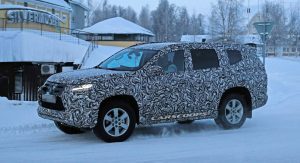 For the 2020 model year, the rugged three-row SUV will receive a number of styling updates, although not as many as the full body wrap would suggest. 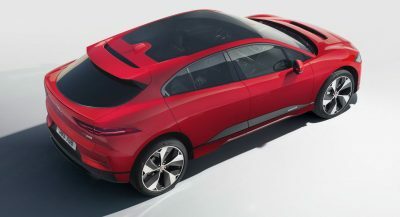 Changes include the new taillights that receive a fresh LED signature and don’t seem to reach all the way to the bumper as on the current model. 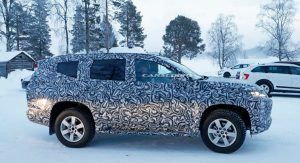 The camouflage may hide some rear fascia updates as well. 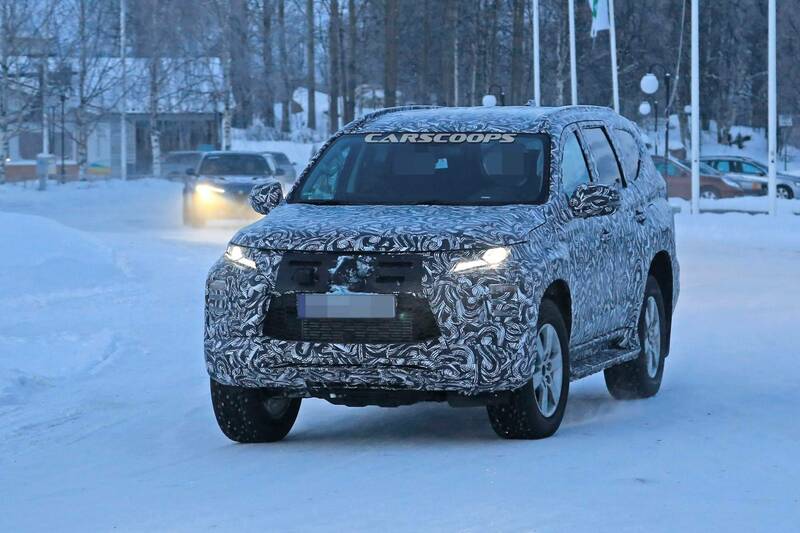 At the front, expect the Pajero Sport to get a similar treatment as the recently-facelifted L200/Triton. 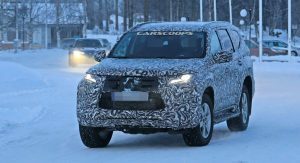 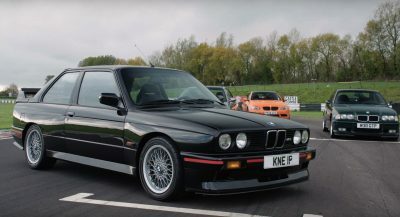 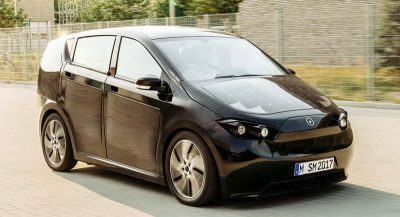 Changes will include an additional set of lamps placed below the restyled LED headlights, reshaped upper and lower grilles, as well as a more rugged-looking bumper. 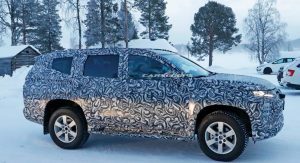 The side profile doesn’t seem to bring anything new despite the presence of camouflage foil. 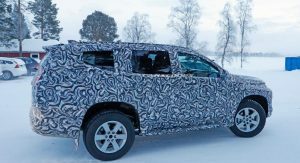 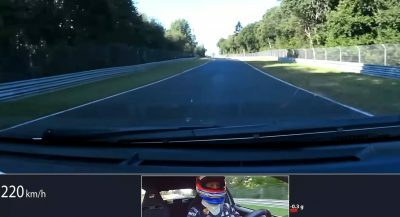 As for the interior, the updates are likely to be restricted to the addition of soft pad materials for the floor, console, armrests, and parking brake. 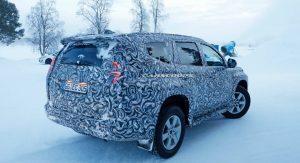 As with the facelifted L200, the Pajero Sport should get new tech onboard including Forward Collision Mitigation, Blind Spot Warning, Rear Cross Traffic Alert, Ultrasonic Misacceleration Mitigation, and the Multi Around Monitor. 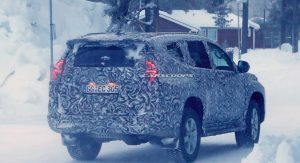 There’s no official information on engine updates, so we can assume the SUV will carry on with the 2.4-liter turbo diesel engine it shares with the L200 pickup. 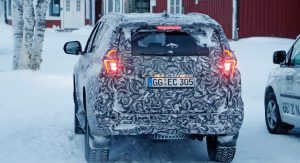 In the UK, the engine that currently equips the Shogun Sport produces 181 PS (178 hp) at 3,500 rpm and 430 Nm (317 lb-ft) of torque at 2,500 rpm. 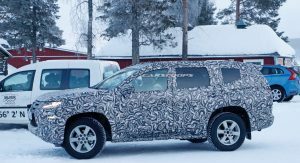 The power plant is mated to an eight-speed automatic transmission that sends power to all four wheels via the Super Select 4WD system that offers low-range capability. 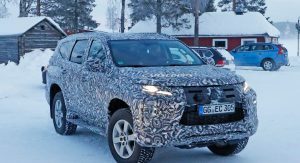 The updated SUV might also get the new off-road mode introduced on the facelifted L200, which features Gravel, Mud/Snow, Sand, and Rock settings. 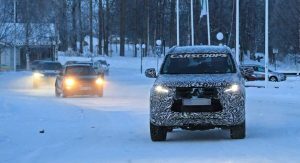 Given that the spied prototype is a left-hand-drive vehicle and the testing takes place in Sweden, we can’t rule out a return of the Pajero Sport to continental Europe. 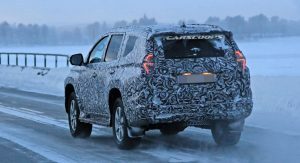 Don’t understand what Mitsubishi thinks, this car really needs a big change in the taillights not the headlights, because it’s good enough. 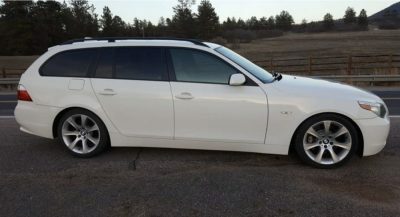 This car only needs a rework at the back. 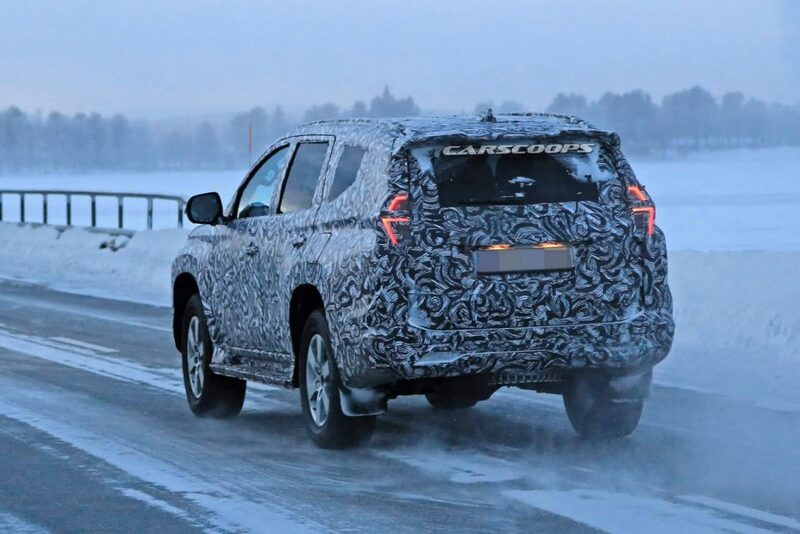 Those “crying” taillights are just horrible.